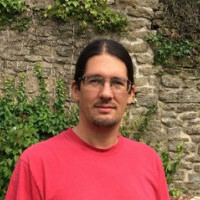 Jake Birkett formed his indie company, Grey Alien Games, in 2005. 13 years later he has eleven games under his belt including the RPG card game, Shadowhand, and casual hits Regency Solitaire and Spooky Bonus for PC/Mac. Jake has experience with every stage of the development process from design and implementation to testing and localisation. Veteran indie dev, Jake Birkett, will talk about why you are spending too long making your game and how much a "good" game can earn on Steam. Why making games quicker is sensible. How much an average "good" game on Steam will earn in the first year. Tips for how to make games quicker.